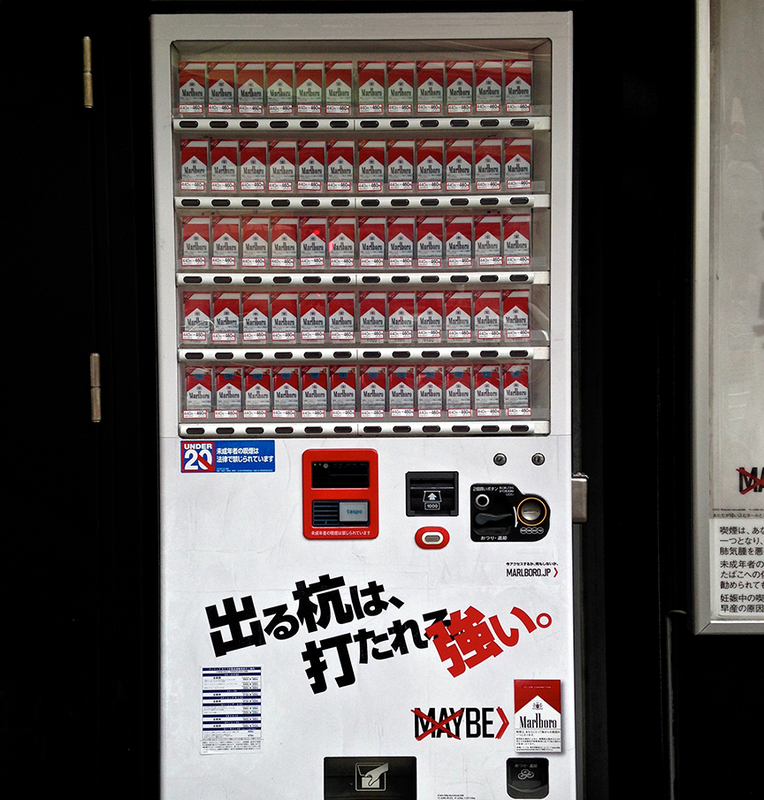 This vending machine offers you a choice between Marlboros and…Marlboros. It could be a glimpse of some horrible apocalyptic future in which the only beer left on Earth is Miller Light and the only mayo is Miracle Whip, or it could be the latest example of a popular Japanese advertising trend: make the product stand out on the shelf by…buying up all the shelves. This is the first time I’ve seen a one-product vending machine, but whole subway cars and even whole trains are regularly taken over by ads from a single brand.